John Dee (1527–1609) is a man who continues to fascinate us today. As discussed in a previous post, Dee was involved in a large and varied number of activities. He advised Queen Elizabeth I on astrological and scientific matters, published on the subject of mathematics, gave medical advice despite having had no formal training and, of course, allegedly conversed with angels. 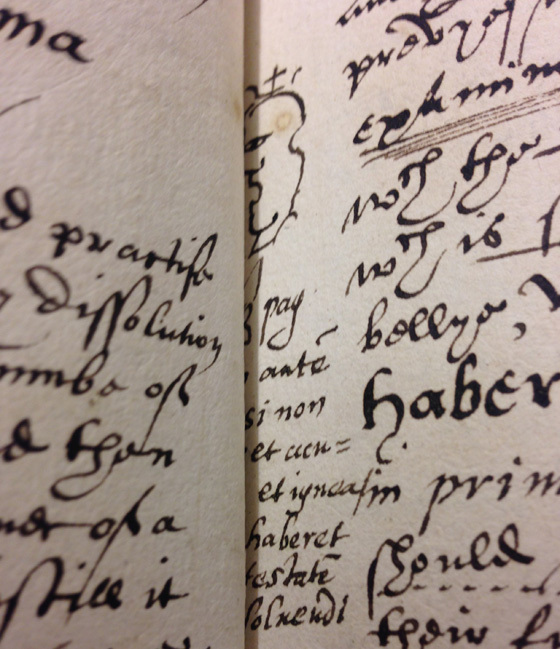 Late 16th century alchemical manuscript in the hand of John Dee, with his marginal annotations. 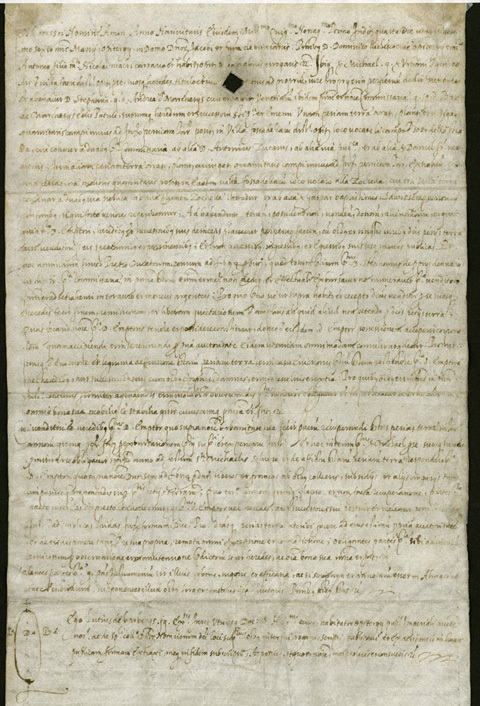 MS. 239, pp. 14–15. Image credit: Vanessa Baptista. The Royal College of Physicians’ current exhibition (until 28 July 2016), ‘Scholar, courtier, magician: the lost library of John Dee’, celebrates Dee’s reputation as a man of unparalleled learning through some of the books he once owned. These cover a wide range of topics, from navigation to geometry, medicine to alchemy. Dee’s personal annotations also serve to reveal his active engagement with these texts: he was evidently not a passive consumer of learning. While the exhibition focuses on books, at the end of the display are some of the pieces of equipment John Dee used in his communications with the spirits, namely his famous scrying mirror, as well as a purple crystal reportedly given to Dee by the angel Uriel in 1582. 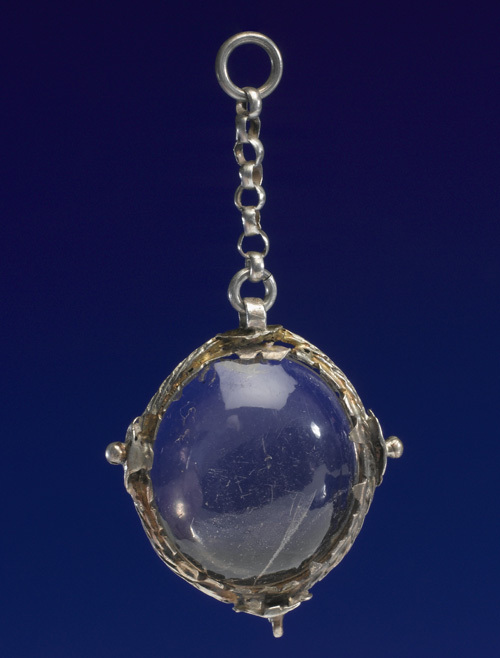 John Dee’s crystal. Front three quarter view. Science Museum A127915. Wellcome Images L0057562. Crystallomancy, the art of scrying (foretelling the future using a reflective object or surface) through the use of crystals, and catoptromancy, the art of scrying using mirrors, were popular forms of magic in the 16th century. Both were largely employed for finding lost items or searching for buried treasure. However, Dee would use these popular practices to communicate with angels. The prospect of conversing with angels or other spirits was very much at the heart of Renaissance magic. This is, perhaps, most famously found in the 1531 text of Heinrich Cornelius Agrippa’s ‘De philosophia occulta’, which contained chapters dedicated to summoning spirits. Although Agrippa did not use crystals or reflective surfaces to summon his spirits, he utilised spirits towards the same ends as Dee, to bring about visions and insights into the future. Dee’s use of his crystal, or ‘showstone’, stems in part from medieval concepts. The employment of reflective surfaces and a dedicated scryer to aid the practitioner of magic is well attested in the Middle Ages. In the 12th century the philosopher John of Salisbury (c. 1115–76), in his ‘Policraticus’, condemned crystal-seers as a type of magical practitioner and even described his own employment as a boy as a scryer by a crystal-gazing priest. Crystal-gazing and scrying were vehemently prohibited in both secular and ecclesiastical courts in the medieval and early modern periods, which begs the question of why John Dee would actively have pursued such an activity. In a 1996 article in ‘Renaissance Quarterly’, Deborah Harkness argued that Dee was able to use the work of the medieval thinkers Robert Grosseteste (c. 1168–1253) and Roger Bacon (1214/1220–92) to rationalise his practices. 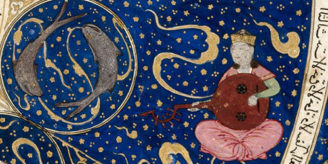 Both men studied light in reference to cosmology, arguing that the cosmos was created from the emanations of God’s divine light, with Grosseteste emphasising the connection between angels (or Intelligences) and this divine light. It would be a small intuitive leap for a man such as Dee to believe that such light could be trapped and concentrated in a reflective surface. John Dee’s scrying activities and his use of the crystal exemplified his intellectual approach: one that was inclusive, perhaps to a fault. Dee combined the magical practices of his era with the natural philosophy of medieval thinkers. The records of Dee’s conversations with angels exemplify his wide ranging interests. Dee would speak to the angels about the principles of natural philosophy, politics and even medicine. Dee bequeathed the stone to his son Arthur Dee, who in turn presented it to the physician and astrologer Nicholas Culpeper (1616–54) as a reward for curing his liver complaints. 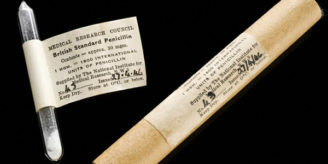 The exhibition at the Royal College of Physicians presents the crystal alongside a facsimile of a statement written by Culpeper concerning his use of the stone. Nicholas Culpeper’s statement about John Dee’s crystal. Science Museum A127916. Wellcome Images L0057563. The statement provides a fitting conclusion to the history of such a strange object. Culpeper employed the stone in his medical practice, claiming that whilst it would successfully heal his patients, its use would assault him with lewd apparitions and leave him lethargic. He claimed to have discontinued its use after a demonic spirit emerged from it. The crystal perhaps acts as a fitting metaphor for Dee himself: it was an object which combined popular and learned practice towards several goals including medical treatment. Much like Dee himself, the crystal was also unable to escape ties with the realm of the magical and the potentially nefarious. Deborah E. Harkness, ‘Shows in the showstone: a theater of alchemy and apocalypse in the angel conversations of John Dee (1527–1608/9)’, Renaissance Quarterly, 49 (1996), 707–37. Deborah E. Harkness, John Dee’s conversations with angels: cabala, alchemy, and the end of nature (Cambridge: Cambridge University Press, 1999). György E. Szönyi, ‘Paracelsus, scrying and the Lingua Adamica: contexts for John Dee’s angel magic’, in John Dee: interdisciplinary studies in English Renaissance thought, ed. Stephen Clucas (Dordrecht: Springer, 2006), pp. 207–29. Vanessa Baptista is a placement student at the Wellcome Library. She is completing an MA in Medieval and Renaissance Studies at University College London. Her research interests are magic in the later Middle Ages and its relationship with religion, science and entertainment, particularly medieval romance literature. She is currently working on her MA dissertation on magical illusions, entitled ‘Magic, illusion and deceptions of vision in the later Middle Ages’. I am interested to read the guest post and happy to say such practices are alive and well today despite the new age wacky image which often, sadly, does not have the rigour and intellectual discipline of Dee. Since the rise of sociology and psychology such practices seem to have got a bit muddled up in a lot of areas but there is still a flourishing dowsing community in the world. We are medical dowsers, architectural dowsers, water and minerals dowsers, remote viewers for crime solving or anything else, those who commune with angels or spirits and those of us who work with the light and dark beyond the human material realm. It is a pity the Royal College of Physicians does not bring in the John Dee’s to present day medicine! So very interesting article! I didn’t know about this man but it seems I should have – John Dee seems to be amazing! Thanks for letting me know about hi and his story.